Lasse Dale is a Norwegian guitarist from a small village called Storsteinnes and for the past 8 <?xml:namespace prefix = o ns = "urn:schemas-microsoft-com:office:office" />days or so I have been listening to his debut album quite often. 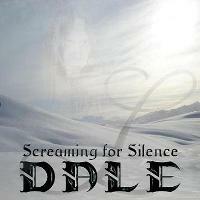 ‘Screaming for Silence’ is the title and we are talking melodic progressive hard rock/metal here. The band consists of Lasse dale, guitars. - Tony Mills (Shy, TNT), vocals. - Karl Birkely (Winterstrain), keyboard. – Tommy Granli (The Maudlin Hounds), bass... and Kristoffer Øyen (After Eternity) on drums. They have already received very positive reactions for ‘Screaming for Silence’ but I’m not fully convinced. Lasse Dale is a fabulous guitar player, no doubt about that, and even though we can find a few excellent songs here, some of them are not above average in my opinion. I miss a hammer chorus now and then. And then we have the voice of Tony Mills... you’ll either love it or hate it... I think. (I don't have a problem with it). But let’s be positive... Lasse Dale is as mentioned above one hell of a guitarist, but don’t worry, this album is not “complete guitar overkill music” as we have heard from some axe heroes. But there’s certainly a lot going on here to cause most guitarists to raise their eyebrows. His guitar could have been more upfront, but what the hell... you can still hear it humming along to the rest of the band with conviction. And when it comes to his solos you’ll waggle your ear lobes and think; - What the hell? – He is good... damn! The biggest surprise on this album is probably the song, “The Silent Guns of Love”... a very beautiful acoustic ballad. Lasse Dale’s playing is out of this world on this track... but so are Tony’s vocals. Well... the whole atmosphere on this track is fantastic. Not every single song is a winner here, there is still room for improvement... but when it comes to the guitar playing... then you’ll better give this album a listen.